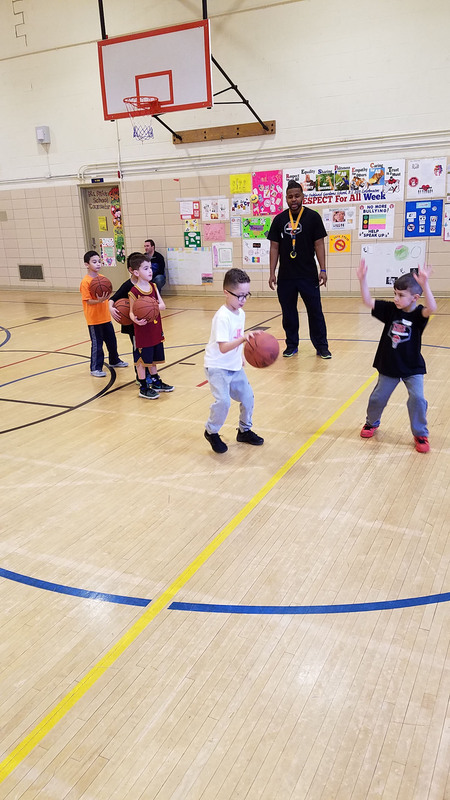 Coach Val conducts a one-on-one drill with our Pee Wee Class (ages 5-6) where the offense has 10 seconds to take one shot to try and score. The defending player tries to prevent the shot. The drill teaches dribbling, shooting and the lost art of DEFENSE.